Please use the form on the right to contact us. We look forward to hearing from you! Surgical trips to the Dominican Republic (DR) provide a crucial medical service that is either too costly or unavailable for the average citizen. Most recently, Rush orthopedic surgical teams worked alongside our Dominican surgical partners at the Taiwan Hospital of Azua on patients whose injuries would have resulted in life-long disabilities. In these tight-knit communities where everyone provides a vital role in caring for their families, a long-term injury or disability can have a drastic effect on the social and familial structures. The effects of one person’s injury reach further than their own health and wellbeing. For example, one patient, who is in his 30s, was suffering from a hip fracture and dislocation. Surgery for this complicated injury required a creative repair. By the time our surgeons operated on him, he’d already been in the hospital for six weeks, during which time he could not work to provide for his family. The success of the surgery allowed him to regain his normal life and return to farming. Without the surgery, he wouldn’t have been able to walk again. Dr. Kristin Buterbaugh, an Orthopedic Surgeon who travelled to the DR in January, was shocked by the sheer number of femur fractures, largely caused by motorbike accidents. “We functioned as the surgical techs, circulating nurses, cleaning crew, and surgeons for every case,” she said. “It was a non-stop experience, working from 9:00 a.m. - 9:00 p.m. for four days straight to complete 25 cases.” Eleven of those cases were femur fractures. The team also completed the first SIGN nail at Azua hospital. SIGN nails are special orthopedic rod implants that are designed for developing countries that do not have x-ray capabilities, and are free to all patients. “I was continually impressed by the shear amount of supplies and resources that it takes to run an efficient and organized surgical trip,” said Dr. Buterbaugh. Tackling these surgical cases not only improves the patient’s health but prevents long-term economic and social fall-out in the communities. CE is grateful to continue working with its surgical partners in the DR to provide ongoing care. My name is Jessica Hyker and I am a general Dentist currently practicing at a clinic that caters to a predominantly under-served population. I have been on several international volunteer trips including a stint in Tanzania working with the Muhimbili University of Health and Allied Sciences, but most recently, I travelled to Haiti to work in Jerusalem with a primary care medical team. Initially, I was weary of one-week trip, but I was reassured by the fact that groups go every 3 months. Sustainable and comprehensive care is an essential piece to global healthcare, and Community Empowerment’s commitment to these goals is what convinced me to join. My first hurdle was trying to figure out how I could provide comprehensive dental treatment with only a room and electricity. I researched how underdeveloped countries are able to provide care in rural areas with minimal infrastructure. Without the use of radiographs, I was limited to being only able to treat what was clinically visible. As a result, my treatment was focused on small cavities with fillings, gum disease with scaling and root planning, extraction of non-restorable teeth, and root canals on front teeth. Thankfully, consumed materials like anesthetic and restoration material were generously donated by Dental Dreams. Additionally, patients were educated on ongoing dental care. Most patients came in to see me with a specific complaint; however, I was able to provide most of the patients with complete dental care of all clinically diagnosable pathology, not just a solution for their one ailment. This is significant because I found that while patients were seeking treatment for a specific tooth pain, they had at least one other cavity in their mouth. I had satisfaction in knowing that every cavity I treated was a tooth that would have eventually caused pain and needed extraction if left untreated. Some patients required as many as ten extractions. By doing so, I was able to provide immediate pain relief and, in many cases, cure chronic infections that had plagued them for years. Thus ridding them of discomfort they may have thought would be a permanent part of their lives. I also found that approximately half of my patients had untreated gum disease. Periodontal disease leads to bone erosion and eventual loss of teeth. Untreated periodontal disease also increases the risk of STD transmission and has been linked to negatively affecting hypertension and diabetes management. While in Jerusalem I treated the patients with periodontal disease with full mouth scaling and root planning, thus halting the disease process. Oral hygiene instructions and encouragement for regular dental cleaning was also reinforced. Lastly, I performed approximately five root canals on front teeth. This was probably the most difficult procedure to bring with me, but I found it significant. 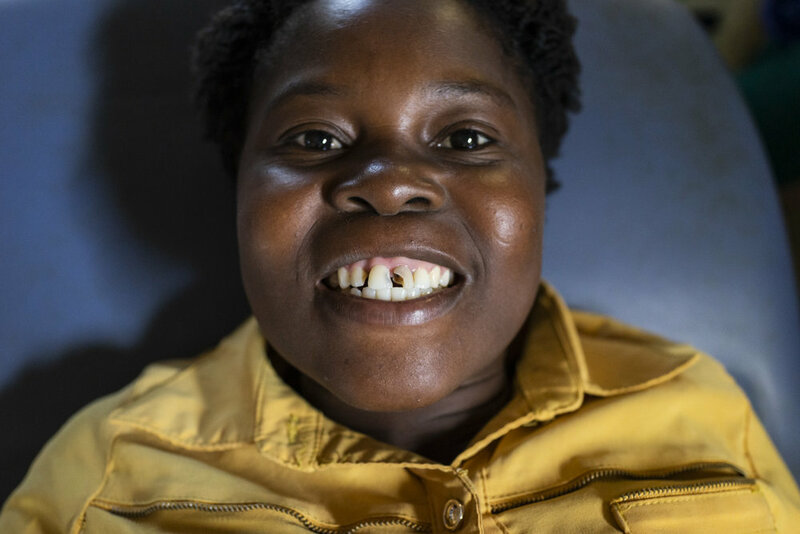 Front teeth that would otherwise need to be extracted were saved with those root canals, preserving both the patients smile and their dignity. Overall, my experience was eye-opening. Though I was prepared to be working in an under-resourced and under-served community, the amount and severity of dental disease was shocking. There was rampant decay, gum disease, and I performed numerous extractions of adult teeth on people as young as 12 years old. This small view into one community made me wonder about dental health in Haiti as a whole. According to the Haiti Dental Association, it’s estimated that there are only 300 dentists and 5 dental specialists in Haiti to serve a population of over 10 million. Based on this knowledge and my experience, I have three goals going forward: 1. Strong education of dental hygiene and preventative care; 2. Continued and regular dental treatment at the clinic for this particular population and; 3. Ultimately establishing relationships with local dental providers and the school of dentistry in Port-au-Prince. I was happy to provide some much-needed services, but I look forward to helping create a self-sustaining system in which I’m no longer needed. Peralta and Villa Verde leaders come together! After researching and meeting with several communities, Community Empowerment began working in Villa Verde, a community on the outskirts of Santo Domingo, Dominican Republic. Villa Verde has strong community leaders, whose dedication to their town drew in CE. Our first primary care trip was completed in fall of 2018. Over 850 patients were seen. Consistent, quality and affordable healthcare is sparse. In many instances, patients have been unable to pay for their medication. The patients were typically families with a wide variety of diagnoses, from abdominal pain and dermatologic conditions to hypertension, diabetes, and congenital disorders. In 2019, CE plans to work with community leaders to finalize objectives and goals for the clinic. There is a need for additional services, such as dental, optometry and mental health. Furthermore, the community is without clean water. The rampant malaria is a result of standing water. CE is working with the community leaders and government to resolve the water issue and assess future needs. CE looks forward to growing and expanding its relationship with Villa Verde. Stay tuned for more updates in 2019. CE and Villa Verde leaders come together. Rush physician, Dr. Abrams, treats patients on the first trip. Jacqueline poses with patients at the hospital in Peralta, DR. In October, I joined Rush and Community Empowerment’s primary care and surgical teams in the Dominican Republic, my seventh trip in total. What we do is never supposed to be about us. My goal has always been to give everything and take nothing, and yet whenever I leave, I feel like I’m the one coming away with more. As with many systems throughout the world, there is corruption in the Dominican Republic’s healthcare system. In an attempt to address this, the government made public healthcare free. But with less than 5% of the national budget dedicated to healthcare, little reaches the poorest and rural regions of the country. Because the government provides low wages, most physicians and surgeons choose to work in the private sector. As a result, public hospitals are only staffed a few days out of the week. I then spent a week working with an orthopedic team in Azua, one of the most under-resourced provinces. At Hospital Taiwan, patients with broken bones often wait months while their family members try to earn enough money to pay for the plate and implants needed for their surgery. In the US, if you break your femur, you’re operated on almost immediately, allowing you to return to normal life rather quickly. However, in the DR, you wait months and what would have been a simple procedure becomes complicated because the bones have already begun to heal incorrectly. In the meantime, you can’t work, care for your family or tend to your usual routine; your quality of life is greatly affected. During this week, what struck me the most was the resiliency – resiliency of the Dominican and US surgeons who worked demanding 14-plus hour days, resiliency of the patients that declined pain medication after having their bones reduced and realigned. Our volunteers from Peralta would drive 40 minutes to and from the hospital, their days even longer than ours. Jose, one of our team members, worked all day and then stayed at the hospital through the night to look after our patients. Our surgeons gained immense experience working in a developing country with limited resources. As expected, many things went wrong. For example, one day the autoclave broke down and our instruments had to be taken to other hospitals, some 40 minutes away, to be sterilized. Instead of giving up, we worked until 2am! These trips can push your body beyond its physical and mental limits. During the exhaustion, it’s difficult to process anything other than getting the job done. However, once it’s over, you reflect and begin to recognize all that you were able to accomplish, considering the circumstances, and all the lives you were able to improve. One of the surprising takeaways was the diversity of beliefs within our group. Our volunteers came from all over the US and brought with them a different lens with which to view important social and political issues. Along with our Dominican counterparts, it was fascinating to see everyone work together to prioritize human connection and civil dialogue above all else. It reminded me that even if someone has an extremely different worldview, they can still be good people that inspire me and that I can admire. When the surgical team left, I stayed with Wendys and her mother in their home. The doors are always open, friends and family come in and out. With little-to-no electricity, families gather together by candlelight or spend time outdoors enjoying each other’s company. I’d go running in the morning and children would run up to me and give me a big hug. I hiked through the gorgeous Azua mountains, where I got to pick fresh avocados, guava, passionfruit, bananas and more. Spending this week with Wendys also showed me how much prep work goes into the surgical trips. Groups of volunteers helped us clean the warehouse and gather boxes of supplies. Even children, who saw what we were doing, dropped everything to help. The small hospital in Peralta is even more under-resourced than the one in Azua. We had to ensure the generator was working and there was enough oil to keep the electricity going. We scrubbed the walls and the floors of the recovery rooms, the operating room, the bathroom and the hallways. 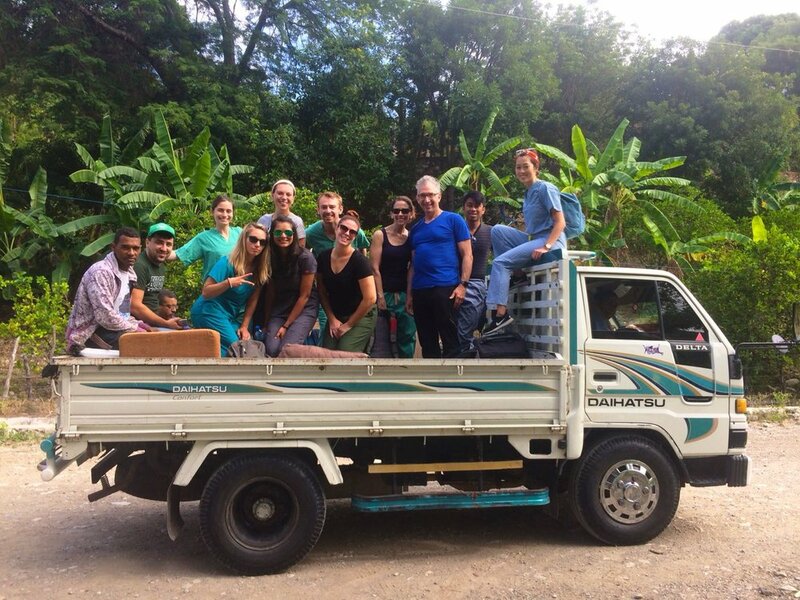 We transported the anesthesia machine from Azua up to Peralta in the back of a pick-up truck. Wendys followed up with the 50 prospective patients, and ensured the community was prepared for the ENT and General Surgical consults. All of this was done on top of her regular job as a Psychology Instructor at the local school. She expressed to me that she’s willing to push herself to the limit because the most important thing to her is to give back to her community. So that they can receive the care they deserve, but are so often denied. She is an inspiration. The final week of my stay was with the ENT and general surgical team in Peralta. The highlight was turning the dreaded pre-op room where children get their IVs placed into a fun place with coloring and live music performed by Kelvin and his guitar. The community rallies behind each other in even the smallest ways. Once, I explained to a patient that they needed to crush up their pills and mix them in a cup. They didn’t have a cup so someone from the across the room emptied out her drink and handed it to the patient. Every night the volunteers (who interpreted, cleaned and sterilized instruments, cleaned the hospital, etc) would come and enjoy dinner with us, play dominoes (a favorite Dominican pastime), teach us how to dance merengue, bachata and salsa. In total, between both surgical teams, we performed 148 surgeries. At the end of my last week, one of our volunteers from the US said to me, “You got here before us, right?” And my response was, “Yea, I’ve been here for 3 and half weeks now.” With a very astonished and surprised look on his face, he then said to me, “Wow. I can see that you love what you do. You’ve been here for almost a month and you still have a huge smile on your face.” He was right. Peralta is a magical place, with the most amazing people. The Dominican Republic may be part of what is considered the developing world, it may be poverty stricken and lacking in the most basic of human rights and health care, but it is rich in culture and community and love. I am extremely impressed, grateful, and inspired by each and every one of our volunteers. It’s experiences like these that remind me of the importance of our work and our partnership with the community, that refuel and motivate me to continue. Views from Jacqueline’s run in Peralta. Jacqueline and Dilcia, one of CE’s nurses, in the pre-op room at Hospital Taiwan in Azua. Raelsy, Jacqueline, Saday and Elizabeth hanging in the house in Peralta. Jacqueline with Dr. Amada’s daughter and niece. Check out our latest video detailing CE’s clean water business model, which helps communities lead healthier lives and create a sustainable health care system. It’s a bittersweet goodbye for Community Empowerment (CE) and the community of Peralta, Dominican Republic. Since 2003, CE, Rush Global Health and the community of Peralta has worked side-by-side to develop a sustainable and nationally-recognized medical clinic. August marked CE and Rush’s final medical trip to Peralta as the clinic, Unidad de Atención Primaria Los Jobos, has reached its goal of self-sustainability. 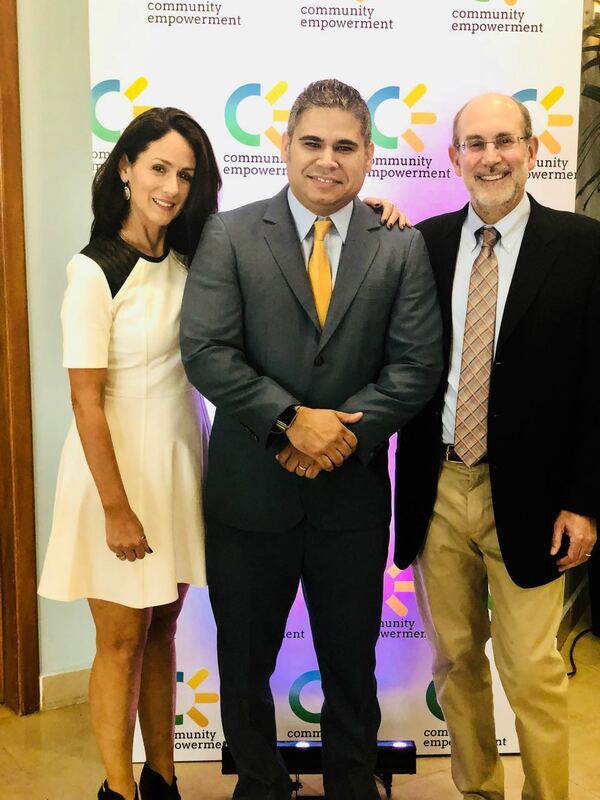 “In CE we understand that there is a very fine line that divides empowerment from assistance-based model that reproduces poverty,” said Alfredo Hernandez, Executive Director, Community Empowerment. “After achieving a successful self-sustaining community health model, we feel it is a duty to begin a transition that allows the community leadership team of Peralta to grow and develop on its own, making use of the tools and experiences accumulated in more than a decade of work together. 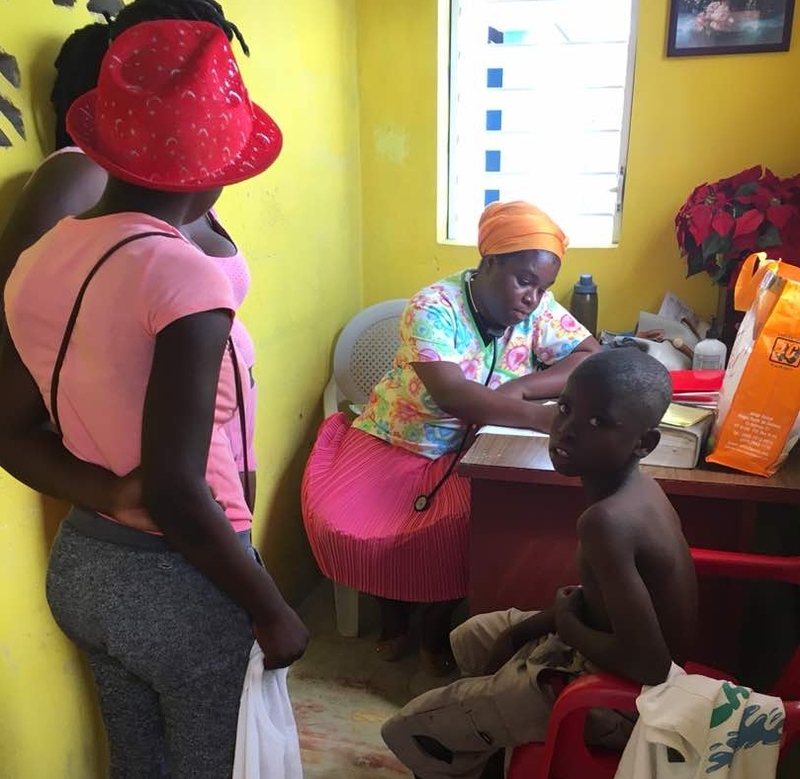 Through the proceeds of purified water sales and registration with the Dominican Ministry of Health and Ministerio de Salud Pública y Asistencia Social, who are also providing medications, the clinic was able to hire a doctor, pharmacist, nurses and community health care workers. These positions were filled by local residents, many of whom had left Peralta due to a lack of employment opportunities and have now been able to return, work and contribute to their community. CE will continue to provide support as needed through telemedicine; however, the last medical team saw patients side-by-side with the local staff. The surgical program will continue to work in Peralta and the regional hospital in Azua. “Walking the journey with the Peralta leadership has been one of the most fulfilling personal and professional experiences of my life,” said Dr. Stephanie Crane, who initiated work in Peralta in 2002. “While we will miss our friends, colleagues and patients dearly, we know that the community is in great hands. 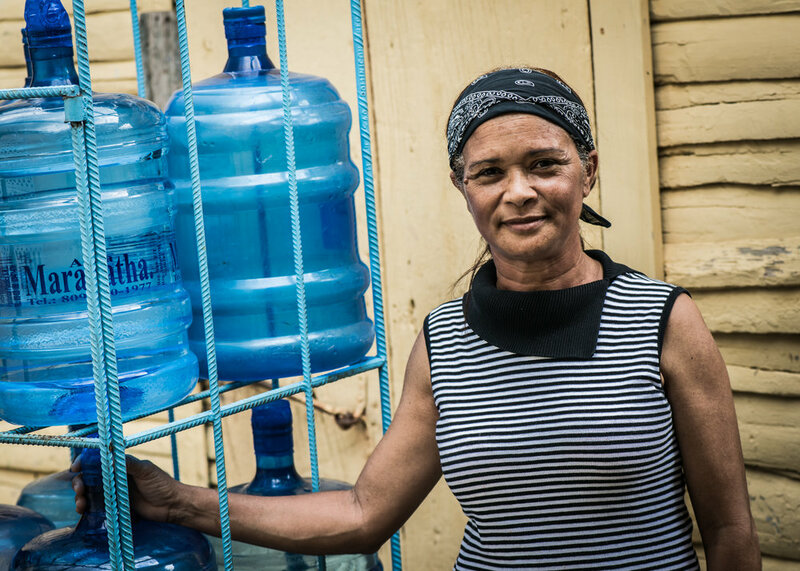 Successful business model which appropriates revenue from water purification business toward clinic overhead as well as permanent support from the Dominican Ministry of Health to sustain staff salaries and medications. This is the first public/private collaboration of its kind. CE will maintain its support, assessment and will support specific initiatives such as health coverage and medicines for people living isolated in the mountains of Peralta and a telemedicine program that will support the clinic team. We celebrate that after multiple attempts, and some failures, the perseverance and hard work of the volunteers and the community leadership have made this success possible! There is no foolproof recipe for the success in this kind of initiatives, However, the perseverance and credibility of the local leadership, added to a partnership based on respect, humility and mutual accountability, are clearly characteristic elements of sustainable growth. In this next chapter, the staff and the community leadership of Peralta will be the ones who will train and accompany the community leadership of Villa Verde in their adventure to build a community where basic health ceases to be a luxury and becomes a basic right-accessible to all! Check back more updates and news! Dr. Fiquita St. Paul working in Jerusalem, Haiti. Cervical cancer in Haiti is the leading cause of cancer death in women. An estimated 1,500 women in Haiti die per year – a number that only reflects known cancer. Many more suffer in silence or without knowledge. To date, Haitian women die at a rate that is 50 times more than the United States. When caught in early stages, cervical cancer is completely treatable. Lack of medical infrastructure, limited resources and poor access results in many unnecessary deaths. As part of our Women’s Health Initiative, Community Empowerment is working with Dr. Fiquita St, Paul to detect and treat cervical cancer. 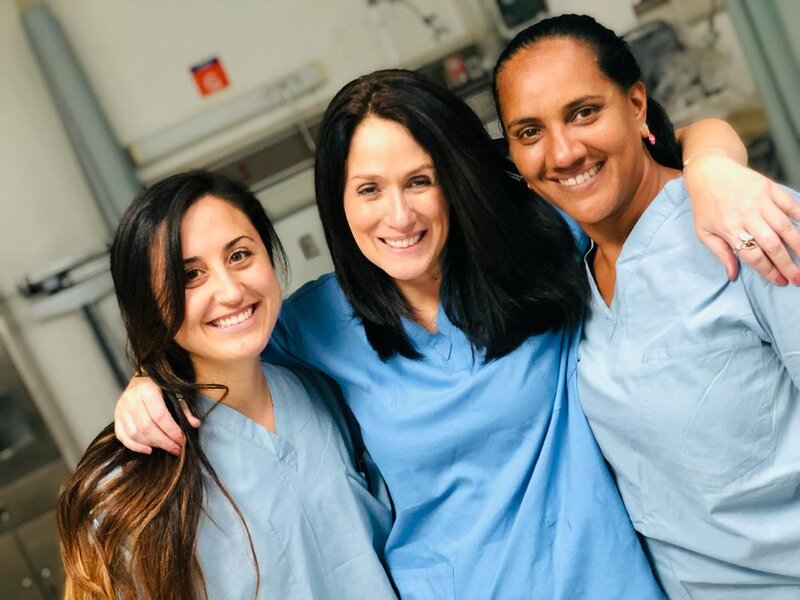 Recently, CE funded a one-week training, where Dr. St. Paul learned colposcopy, direct visualization inspection with acetic acid (VIA) to detect cervical dysplasia (early cervical cancer), and treatment of cervical dysplasia with thermocoagulation. Cervical visual inspection with acetic acid can detect early precancerous lesions, which can be treated the same day. We will be controlling Dr. St. Paul’s colposcopy interpretation with that of Gynecologists at Rush to ensure accuracy. This protocol will roll out in September. Alfredo Hernandez, Executive Director of Community Empowerment, (second from left), Rush University’s Dr. Stephanie Crane (4th from left), and Dr. Richard Abrams (5th from left) attend a medical conference hosted by the Feltrex Foundation in partnership with Rush University and Community Empowerment in Santo Domingo, DR. 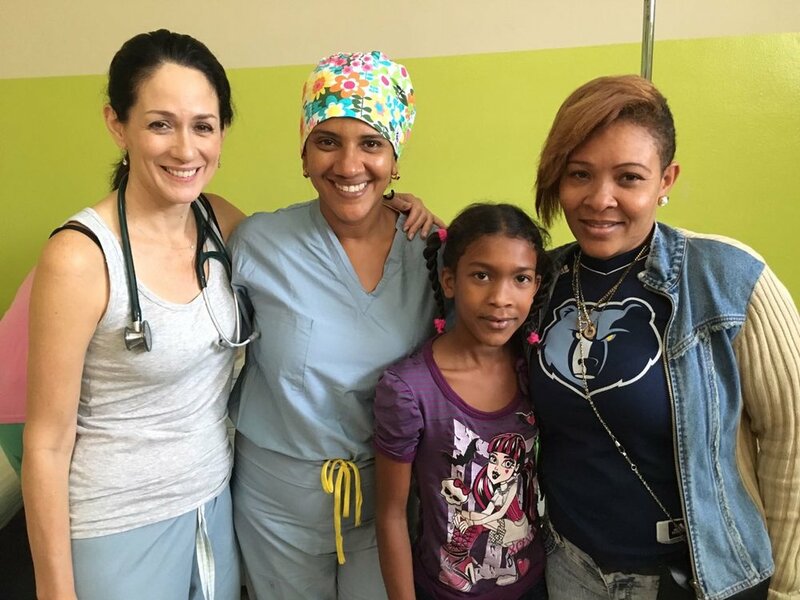 In June, Community Empowerment (CE), Rush Hospital, and the Feltrex Foundation teamed up for another medical conference in Santo Domingo, Dominican Republic (DR). It was the second in a series of conferences for post graduate medical education as part of an ongoing partnership. This time the focus was Cardiovascular Risks. “While communicable diseases are well known scourges in much of the developing world, non-communicable diseases such as hypertension and diabetes are leading causes of morbidity and mortality as well. As such, we were very pleased to be able to speak about this relevant and often overlooked topic,” said Dr. Stephanie Crane of Rush University Medical Center and Community Empowerment, NFP. The conference included a talk by Dr. Richard Abrams and Dr. Crane titled, “Hypertension – past, present and future”. Approximately 200 medical personnel attended, including internists, cardiologists, endocrinologists and medical residents/ fellows. Additionally, Dr. Crane also gave a talk on diagnosis and management of lipid disorders, designed specifically for residents. Seventy residents from multiple medical programs attended. “We want to thank our partnership with the Feltrex Foundation, a platform has been created that allows us to implement our "train the trainers" model, sharing and exchanging knowledge with Dominican professionals, enriching and updating knowledge that directly impacts the Dominican health system,” said Alfredo Hernandez, Executive Director, Community Empowerment. “The hospitality shown by the Feltrex Foundation leadership, as well as by the physicians who attended the conference was phenomenal,” said Dr. Crane. “We learned much about the structure of their academic environment, and are looking forward to enhancing these partnerships with the development of residency exchange programs in the future. Additionally, Dr. Crane and Dr. Abrams were invited to speak on “La Receta Medica” (The Medical Prescription) on Z101, the most popular medical radio show in the DR. The Feltrex Foundation is the charitable arm of Feltrex, one of the most important pharmaceutical companies in the DR. The next conference takes place November 5-6, 2018 and will focus on otolaryngology. On behalf of the Community Empowerment community, I would like to express our sadness regarding the current situation unfolding in Haiti. As many of you know, the country is going through yet another round of devastation in the wake of a government hike of gasoline prices. The situation remains extremely unstable, with many Haitians confined to their homes due to widespread fires, looting, barricades and riots. The political situation is unpredictable, with many indicators pointing toward destabilization for some time to come. 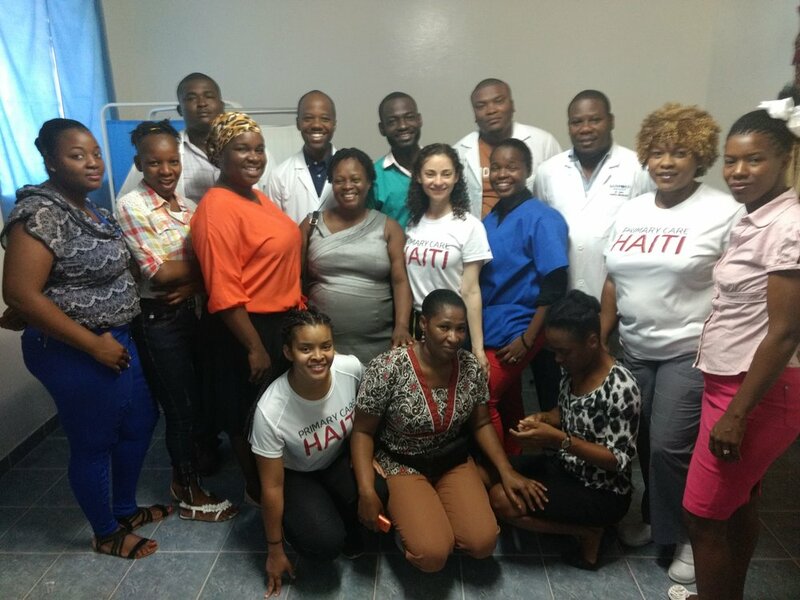 To our Haitian friends, family, colleagues and patients, please know that Community Empowerment remains committed to supporting you through this difficult period. Our hope is that the unrest comes to a calm with peaceful resolution and that you stay safe. Art for Health is October 5, 2018! This year's Art for Health Benefit is merging our community roots with our global health ethos. Local Chicago, Haitian and Dominican artists will share their works to visually connect our communities, including street art from all three locations. Join us for special musical acts by Kreyol Roots, Microphone Misfitz and Doggybag, and celebrate Community Empowerment's work in the communities it serves. View more details or purchase tickets.